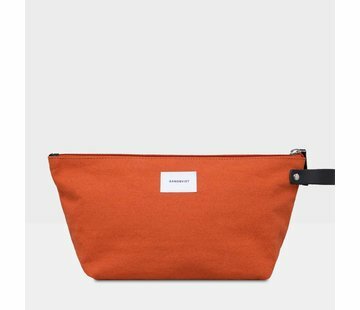 Lightweight and functional washbag made in organic cotton and recycled polyester with leather details. 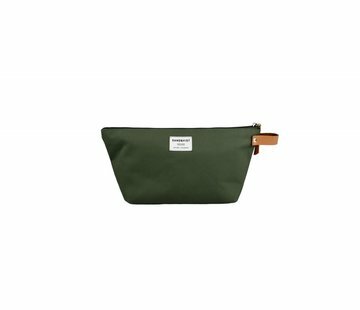 Durable wash bag made in organic cotton and recycled polyester canvas with leather details. Sealed with a zipper. 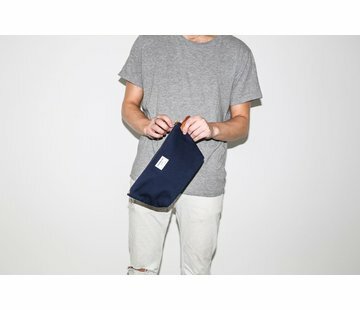 Contains in total three inner slip pockets; two small and one large where you can stove all your toiletries. CLEO is the perfect companion on all your travels, made in lightweight material. Material: Polyester and cotton canvas with leather details.Vegetable tanned leather and YKK¨ nylon zipper closure. Grey lining.